The family of Manchester City manager Pep Guardiola were caught up in the terror attack in the city after attending the Ariana Grande concert where a suicide bomber struck on Monday night. 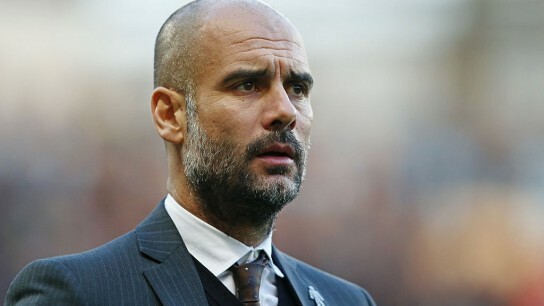 Guardiola's wife, Cristina Serra, and the couple's two daughters, Valentina and Maria, are reported to have escaped unharmed as did family members of other City staff who were also at the Manchester Arena. Both Manchester City and United have issued statements in the wake of the atrocity, which killed 22 people. A support centre has been set up at City's stadium. "Doctors, counsellors and bereavement officers are on hand at the Etihad, while food and pharmaceutical supplies have been provided by local businesses," reports the Daily Mail. "Drinks, blankets and phone chargers are among the services on offer to members of the public in the Chairman's Club." Reports that Guardiola's family were at the concert originated in Spain, says the Daily Telegraph. "It is unclear if they were still at the Manchester Arena when the explosion occurred shortly after 10.30pm in the venue's foyer but it is understood that all three are safe and unhurt. "Guardiola was due to fly to Abu Dhabi today for his end of season review with Khaldoon al-Mubarak, the City chairman, and the club's hierarchy but it remains to be seen whether the manager will now cancel or delay his planned visit in order to stay with his family." Man United held a minute's silence before training ahead of the Europa League final on Wednesday. It also cancelled a planned press conference. Man United and City issued statements expressing shock and sympathy for the victims of the attack. Meanwhile, the Manchester Evening News reports that players and other stars with local connections including Marcus Rashford, Vincent Kompany, David Beckham and boxers Ricky Hatton and Anthony Crolla have posted messages of support on social media.